THIS PRODUCT CONTAINS REFINED PETROLEUM OILS AND ADDITIVES. Wipers are fresh and clean every time contaminants, snags or rough edges Reusable for small jobs and designed for durability; withstand solvents as well as shop towels Low-lint; won't shed, pill or leave behind unwanted fibers when wiping parts Binder-free construction withstands solvents, degreasers, cleaning agents. A complete conditioner for cooling tower systems. Special blend of inhibitors that prevent corrosion caused by various unlike metals from oxidation in water systems. Conditions metal surfaces in water while controlling pH, scale and internal parts. Complete treatment for boiler systems. Treats water with softening agents, rust and corrosion preventatives, pH control and oxygen scavengers. (#7196 for steam boiler treatment). Reducing oxygen in the water is a must for recirculating boiler systems. Sodium sulfite solution designed to use and remove all oxygen in the water of the system. Without oxygen you will keep the system cleaner and corrosion free allowing for efficient and long term service. Simply spray unique directly onto the walls of a fireplace/furnace actually reduces the burn temperature of the soot that is adhering to the wall. When the system comes on after application, the soot will now burn off on its own, leaving a clean and safe surface. Treats water with softening agents, rust and corrosion preventatives, pH control and oxygen scavengers. (#7196 for steam boiler treatment). Many liquid and powder boiler and cooling tower formulations. They are blended for specific requirements such as hard water, scale, ph, or to meet the need of a specific area. So please ask. ONE COMPONENT REPAIR CONCRETE: Highways and Bridges - Airport Runways - Concrete Slabs - Parking Decks - Manhle repairs. PATCHING: This is a rapid setting concrete repair material. 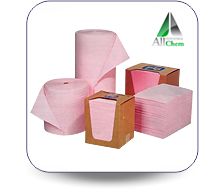 This patch develops a high compressive strength. Epoxy paint to resurface or make permanent coating on cement floors. Durable and long lasting can hold up against harch chemicals acids and heavy traffic. Perfect for warehouse and garage floors. May be brushed or rolled on to floors for a protective and extremely hard surfaces. This 100% epoxy can be used on stone surfaces, in plants. On bricks and stones to create a protective seal and protectant. Can also be used to fill and patch cracks, holes, breaks, and cracks. Helps to water proof and create a chemical resistant surface. (1a+1b+aggregate) Resurfacing kit. 2 part epoxy is our 680 epoxy paint with non skid aggregate. Super stong epoxy with durable coarse aggregate. Creates a new rough surface for any are where slip proof is required or desirable. Final product is an extremely hard, durable long lasting protective coating. cover area and tamp down. Used in loading areas, parking lots driveways and walkways. Coal tar/ acrylic emulsion. Rejeuvenate old or worn black top with this product. Creates a weather proof protective barrier adding years to surface. Designed to seal and fill in small cracks of blacktop surfaces. Rejeuvenate old or worn black top with this product. Creates a weather proof protective barrier adding years to surface. A suspension of high molecular weight polymer that is used to break up deposits of mud silt and dirt and put them in solution. 250 and 500 gallons ready to use tracing solution. Available in custom colors. 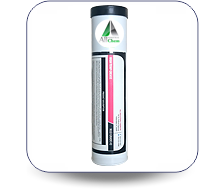 Strong alkali quickly dissolves grease buildup in water systems and along walls. A natural water dilutable citrus product that derives its strength from citrus extracts and biodegradable surfactants. This orange based formula dissolves light grease and and other waste from sewer, grease traps and lift stations. Natuarlly leaves citrus scent. Use straight for solvent like degreasing action. Heavy soils use 15-20 oz. Gallon. Light soils use 4-5 oz per gallon. 80% active super citrus degreasers for the quick acting natural degreasing. Can be diluted with water for degreasing or odor control. Use by drip or pouring in drains and grease traps to clean and de-clog. Forms a stable microemulsion when mixed with water. Can safely be used for maintenance of grease traps and drains to prevent build up. Removes, grease, tar, ink, decals, grime, dirt etc. Use on tools, equipment, cables. tire marks, lift stations. . 4500 will dilute almost clear with water. ORANGE GREASE DIGESTER 100 (with water). and drains to prevent build up. Removes, grease, tar, ink, decals, grime, dirt etc. Use on tools, equipment, cables. tire marks, lift stations. Note,#451 can be made non emulsifiable for floating lift station degreaser if requested. 4510 forms a milky stable emulsion when mixed. Natural floating lift station degreaser & deod. 100% Natural floating degreaser. Designed specifically for cleaning lift stations and controlling odors. step 1: Quickly forms an odor barrier by floating and capping lift station. Step2: Creates a pleasant smelling citrus environment. Step 3: Quickly saponifies grease and organic obstructions. A revolutionary, safe formula that floats up and down with the rise and fall of the station platform keeping the sides of ft station clean. CITRA-LIFT cleans off soil, dissolves grease and oil, softens solid waste and eliminates objectionable odors. 80% active super SOY/CITRUS extract degreaser for the quick acting natural degreasing. Can be diluted with water for degreasing or odor control. Use by drip or pouring in drains and grease traps to clean and de-clog. Forms a stable microemulsion when mixed with water. Can safely be used for maintenance of grease traps and drains to prevent build up. Removes, grease, tar, ink, decals, grime, dirt etc. 100% natural super SOY/CITRUS degreasers for the quickest acting natural degreasing. Can be diluted with water for degreasing or odor control. Use by drip or pouring in drains and grease traps to clean and de-clog. Use for environmental preferable as this product has lower voc then petroleum or terpene based solvents, it is non petroleum (renewable resources) and a higher open cup flash point. 4510 forms white emulsion when mixed with water. These products can safely be used for maintenance of grease traps and drains to prevent build up. Removes, grease, tar, ink, decals, grime, dirt etc. 100% natural super SOYdegreasers for the quickest acting natural degreasing. Use by drip or pouring in drains and grease traps to clean and de-clog. Use for environmental preferable as this product has lower voc then petroleum or terpene based solvents, it is non petroleum (renewable resources) and a higher open cup flash point. 4510 forms white emulsion when mixed with water. 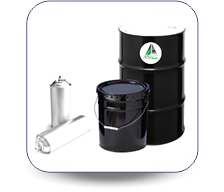 These products can safely be used for maintenance of grease traps and drains to prevent build up. Removes, grease, tar, ink, decals, grime, dirt etc. Naturally derived floating degreaser. Designed specifically for cleaning lift stations and controlling odors. step 1: Quickly forms an odor barrier by floating and capping lift station. Step2: Creates a pleasant smelling citrus environment. Step 3: Quickly saponifies grease and organic obstructions. A revolutionary, safe formula that floats up and down with the rise and fall of the station platform keeping the sides of ft station clean. SOYSOLV FLOAT cleans off soil, dissolves grease and oil, softens solid waste and eliminates objectionable odors. Benefits: High flash point – zero voc – Non petroleum or terpene – Long lasting. Removes and solubilizes oils and grease from all surfaces. Heavy duty degreaser motor cleaner, and garage floor cleaner. May be used full strength or diluted 1:6 with cheaper solvent. Non-caustic, cleans by emulsion. Flush with water under pressure. Eases Tar & Asphalt Removal Solvent blend with emulsifiers. Use dissolve and clean tar, pitch. asphalt. oil. And grease from floors, brick, and asphalt spreaders. road machinery. shovels. etc. A unique, non-chlorinated. non corrosive, solvent based product that instantly penetrates degreases and cleans mechanical and electrical equipment components without disassembly. 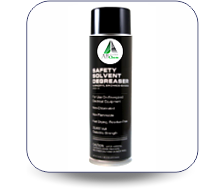 Solvent can be used in soak tank or spray and wipe on parts. This degreaser features a very low odor and a high flash point. Solvent used for degreasing small parts and tools. Removes oil and grease. 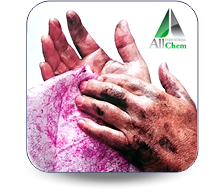 Also used as solvent extender for solvent dilutable products. Evaporating wash designed for the printing industry. Simply wipe on and wipe off. Removes ink from blankets, rollers and equipment. Dries without leaving residue. Elongates the life of rollers when used properly. A strong Ready to use high performance bathroom & kitchen acid replacement cleaner. Quickly removes all scale – lime – rust etc. Restores surfaces to like new. 5 gallons makes 55 gallons of concentrate. 1 Gal. Makes 55 gallons ready to use. ETCH – Phosphatizing Prep for metal. Phosphatizing agent used to clean and etch metal surfaces to prepare them for paint adhesion. 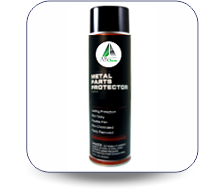 Removes rust and leaves a hard, protective phosphate coating. Dramatically retarding the reoccurrence of rusting. Used to clean and brighten all aluminum parts including truck bodies and trailers. BRIGHTENER iquid that cleans copper and brass while removing dulling tarnish or stains. Brings back original shine. Rust eliminator. Leaves protective coat. Phosphoric acid cleaner designed to remove rust from iron and steel. 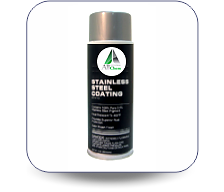 An ideal pretreatment for all galvanized surfaces prior to painting. Use for cleaning and removing milkstone. Oil based: Use this product to clean, polish and protect stainless steel and other metal surfaces. It does not contain acid, silicon or abrasives. It has a pleasant mild citrus fragrance, and it will not powder or cake in crevices. Removes smudges, fingerprints, dirt and oil easily and quickly. A thick crème for use clean, polish and protect stainless steel and other metal surfaces. It does not contain acid, silicone or abrasives. It has a pleasant natural citrus oil fragrance. It will not powder or cake in crevices. Removes smudges, fingerprints, dirt and oil easily and quickly. A formulated blend of non-ionic wetting agents designed to aid in wetting or reducing the surface tension of water. This allows deeper penetration, quicker drainage and drying time. Uses: Golf courses, lawn, caretakers, and fire fighting and dust control. Two products in one. Super concentrated water wettng agent to make water spread more quickly extinguishing fires with less water faster. Now contains corrosion protection for long term storage in tanks and containers without the worry of corrosion rust or other contamination. Forms a dense foam suitable to extinguish Class A fires. High expansion foam extinguishes by a combination of 3 properties. Firstly to prevent air (oxygen) from supporting combustion. Secondly, provide a cooling and thirdly, water released from the foam contains wetting agents which facilitates pen-etration into the substrate and increases the rate of extinguishment. This product is designed to reduce the fire hazards associated with flammable liquid spills. This concentrated formula will emulsify fuels, oils, and hydrocarbons with water. The emulsion will suppress flammable and combustible vapors significantly reducing the fire hazards associated with the vapors. Forms a dense foam to extinguish Class A or Class B fires and Alcohol fires. This material smothers fires and prevents air from reaching the flammable materials. Lowers the heat of combistion by cooling action. as well as large drains. USDA. LIQUID WITH 200 Billion colony of friendly bacteria and ready to go enzymes for fast, effective and safe drain maintenance. Great for grease traps and septic systems as well. Use to open slow drains or for maintenance of institutional waste systems. Powder material that gets hot when mixed with cold water. Use for drain cleaner for both corrective and preventive maintenance. May be used on vitreous china or porcelain. Quickly removes clogs or fixes slow flow in kitchen and bathroom drains, toilet bowls, as well as large drains. USDA. Hi gloss polyacrylate emulsion undercoater. Seals floors and pre- pares them for finish. Use on terrazzo. linoleum, vinyl floors, etc. A very tough sealer for renovating and protecting many floor surfaces. Lasts through multiple stripping operations. Use prior to waxing floors. May also be used as a water based protectant and seal on concrete floors and structures. 254-14%, 256-16%, 258-18%. with the added adhesion and durability of urethane. Stone & Metal coating for waterproofing and beautifying: Excellent grafitti guard. A clear urethane finish and sealer for concrete, wood, gym floors, brick, stone, metal mosaic, and equipment. Use to protect and coat surfaces. Beautifies and elongates the life of wood surfaces. Material meets VOC requirements. Single part paint. High quality coating means fewer coats required for complete coverage and long term durability. Single part titanium white coating for long term durability and excellent hiding. Concrete bonder acrylic adhesive makes concrete repairs that hold. This product contains an exceptional acrylic polymer formulation that insures strong, permanent bond between new and old concrete, mortar or plaster. Just brush it on any clean, sound surface and apply the new cement mix. Use inside or outside. This product will increase bonding strength 8 to 10 times when applied as directed. Eliminates the need to chip or roughen the area to be resurfaced or repaired. A safe replacement and non corrosive replacment for muriatic acid for cleaning cement and other stone surfaces from rust, scale, and other soils. Seal pores and keeps moisture out. Effective in making concrete harder, dustproof, oil proof, acid-resistant and moisture-resistant. Inner Seal is an alkali activated chemical penetrating concrete sealer unlike any other product on the market. When Inner Seal is applied to a concrete surface, it soaks down through the pores of the concrete 118 to 114 inch. This product reacts with the lime in concrete. In the presence of moisture, it forms a hard, insoluble gel within the pores, thus closing the small voids. Unlike surface coatings, this is not worn down by heavy traffic. Seals curing or new concrete: Invisible coating for cement. Seals moisture below surface. wb: Water based outdoor sealer for cement concrete, stone and porous surfaces. Leaves a slight shine. Repels water making it an excellent choice to prtotect surfaces from weather, salt and dirt. Oil and water barrier for concrete, slate, porcelain or any porous surface. Seals surfaces making it virtually impossible for liquids to penetrate surfaces. Keeps surfaces stain free, clean and waterproof. A high solids, cleaner and degreaser with the added cleaning power and the freshness of natural orange solvents. Degreaser “O" is water dilutable and will instantly dissolve greasy oily soils and wash dirt away. Great on cement floors, equipment, break dust, virtually anywhere dirt and grease is a problem. May be used by hand or with a high pressure machine. This product is an all purpose cleaner that is specifically designed to be used in ultrasonic cleaners. Use 2 to 4 ounces per gallon of water to effectively clean soils and remove oil and dirt from surfaces in ultrasonic baths. A mild viscous cleaner pleasantly lemon scented. The perfect product for cleaning and maintaining finished floors. Does not harm finish or effect surface gloss. Excellent mild general purpose cleaner with controlled sudsing. Used for marble, wood, linoleum, finished floors, and water safe surfaces. USDA reg. A mild neutral cleaner, deodorizer. A controlled foaming neutral cleaner with fresh scents. Concentrated product for economical cleaning for finished floors and other hard surfaces. Ready to use butyl cleaner. Spray on and wipe off. Powerful product removes dirt, grease, crayon, ink and other soils without leaving any residue. Natural oil soap fortified with pine oil and surfactants for the most effective cleaning and deodorizing. Floors may be buffed after applying. Concentrated cleaner for hard surfaces and oil residues. Can be used to clean and degrease any hard surface. Metal, Concrete, Walls, Floors, Equipment etc. Made with “readily biodegradable” surfactants that comply with the epa guidelines. 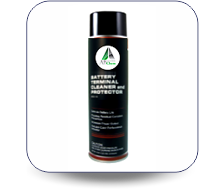 Light duty cleaner with cleaning power and deodorizing of pine oil . Dilute with water and use to wipe down water safe surfaces like walls and floors while leaving a light pine odor. Formulated with a powerful bang of grease dissolving pine oil and soil removing surfactants. Can be diluted with water and used with a mop or sprayer, or sprinkle on cement, wet surface and agitate. A multi purpose powdered cleaner. Orange powder that turns light green when mixed with water. Use on all types of machinery, walls, floors, and ventilator screens. Removes grease, oil, inks, carbon, and soil from all water safe surfaces. Contains NO free alkali. Safe on aluminum. 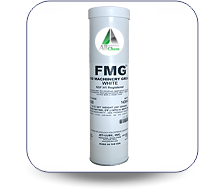 Powdered degreaser with a high concentration of oil and dirt dissolving emulsifiers. Uses natural citrus solvents to offer excellent degreasing and deodorizing. Use for concrete cleaning, hard surface cleaning, and soak tank cleaning. The powder is orange in color and becomes a light green solution when mixed with water. Non phosphate readily biodegradable cleaner. A high concentration all purpose cleaner for any hard surface. Environmentally responsible as this formula contains only “readily” biodegradable detergent blend. It does not contain phosphates, VOC, or NPE. California Prop 65 compliant. This car wash is a blend of emulsifying agents and detergents. Emulsifies dirt and road film rapidly. It is a high sudsing and free rinsing concentrate. The non streaking formula is used manually and is mild to hands. Concentrated methyl alcohol based cleaner. Dilutable formula for use in summer and winter. Keeps reservoirs and spray from freezing and effectively cleans windshields from road dirt and soils without streaking. Ready to use methyl alcohol based cleaner. Use in summer and winter. Keeps reservoirs and spray from freezing and effectively cleans windshields from road dirt and soils without streaking. Quick drying. Leaves an invisible non stick shield on snow plow. White water emulsion formulation brings life back into dull rubber tires, vinyl tops, canvas, awnings and other surfaces. This product makes surfaces water proof to withstand multiple washings. Contains anti-stat to resist dirt, dust, and breakdust. Concentrated and long lasting. A premium blue solvent to complete a total detail for auto tires and vinyl component surfaces. This is a one step product that does the work for you. Total looker gives a high gloss and deep coating in one easy step. VOC compliant. Water based system that goes on with a paint brush and works like a solvent. Leaves a high gloss look that is water resistant and will last and last. Non voc. Fast dissolving heavy duty. Non phosphate cleaner that quickly dissolves in hot or cold water. Apply with brush bucket or pressure washer. Rinses clean. Mild foaming automobile wash. Gentle and concentrated powdered product offers an effective automotive cleaner that will not adversely affect the gloss of finish of painted surfaces or glass. Use only 1 - 2 oz per gallon of cold water. 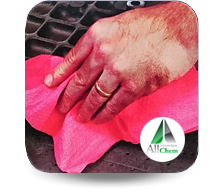 INSTANT GEL - Absorbs 100 times its own weight in liquid instantly, so spills are quickly and easily cleaned up. Stops liquid from "running" and locks it into a gelled mass. DEODORIZES: Great odor for immediate relief Packaged in 6 and 12 shaker jars / case. White granule formulated with sodium bicarbonate removes unwanted odors and creates a pleasant scent where ever it is sprinkled or applied. Designed to easily be vacuumed from carpets Use on *Carpet *Upholstery *Ash Trays & urns *Animal Odors *Garbage *Dumpsters will OTHER MALODOR SOURCES. Available in bulk or packed 12 x 2 pound shaker jars per case. Eliminate: Foul odors- No Clump Formula Long lasting scent. Can be sprinkled to remove unwanted odors and create a pleasant scent where ever it is sprinkled or applied. Designed to easily be vacuumed from carpets Use on *Carpet *Upholstery *Ash Trays & urns *Animal Odors *Garbage *Dumpsters will OTHER MALODOR SOURCES. Available in bulk or packed 12 x 2 pound shaker jars per case. Available in bulk or packed 12 X 1 POUND shaker jars per case. Highly absorbent cherry granules. Use to absorb spills and eliminate malodors immediately. Sprinkle around foul odors for a long lasting odor neutralizer. Use in cigarette urns, ashtrays, and as a vomit absorbent. Sprinkle in dumpsters to create a pleasant environment. Keeps away pests. Absorbent odor control granules. New biodegradable base makes this the stongest smelling powder available. Sprinkle and vacuum for fast deodorizing of rooms. Sprinkle over garbage or leave container open in room to freshen and create a pleasant smelling environment. Use for picking up spills such as vomit and blood for easy cleanup and immediate deodorizing. Keeps away pests. With natural essential oils Creates a great mint odor and keeps pests away. With natural oils in a New biodegradable base makes this the stongest smelling powder available. Sprinkle and vacuum for fast deodorizing of rooms. Sprinkle over garbage or leave container open in room to freshen and create a pleasant smelling environment. Use for picking up spills such as vomit and blood for easy cleanup and immediate deodorizing. and stains from white walls on rubber and synthetic tires. A concentrated blend of mild alkaline detergents and synthetic wetting agents to effectively clean vehicle surfaces. Requires minimum agitation of the surface and is free rinsing. Brush and Bucket application. Use on buses. trucks, trailers, planes. etc. Use to pre-wash rims or vehicles before going through car wash. Removes break dust, dirt and grime. Mild high foaming automobile and vehicle wash with wax to wash away dirt and rinse free. Leaves lustre without leaving film. Dilute 1 to 4 oz/per gallon. A highly effective concentrate is specially formulated to clean evaporator coils. Apply "to the air-intake side of evaporator coils, and soak coils thoroughly. Air Flow pulls and disperses coil cleaner throughout coils, permitting solution to mix with condensate. Removes dirt grease and grime from surfaces. Cleans condensers, washable filters and food storage and handling equipment where rinsing is required. Alkaline Coil Cleaner & Brightener: A super stong cleaner for the heaviest of buildups. Contains alkali that microscopically remove outer layer of coils, restoring underlying surface to sparkling clean and bright. BRIGHTENER ACID TYPE - Dissolves scale, Dirt, and Soils and Brightens Acid coil cleaner cleans dirt grease and grime. Acid creates a bubbling action on aluminum fins, leaving them clean and bright. Descales without the use of hydrochloric acid. Effectively descales lime, slime and algae which rapidly build up in condenser coils and pipes in circulating heating and cooling systems. Color coded product makes it easy to use. Product is red when put in system. If it turns blue after flushing system there is additional scale in system which needs to be purged with another treatment. Inhibited acid cleaner _ Descaler, Delimer and Concrete etcher, cleaner, remover. Powdred form of Mr. Coil Liquid. Saves space and money. Highly effective to clean evaporator coils quickly and easily. Powdered formula of real stuff coil cleaner and brightener. leaving a bright new surface. Synthetic lubricant Conc. Concentrated lubricant for cutting, grinding, boring, of steel, iron, stainless, aluminum, brass, etc. Made with corrosion and rust preventatives to protect fresh metals. Dilute up to 1:40. A premium petroleum based coolant for all metal working applications. Ferrous and non-ferrous metalworking. Mixes readily with water to form a stable emulsion. Premium lubricant for cutting and grinding with superior rust and corrosion protection. Dilute 1: 40 for most applications. Versatile form release oil for use in pre-cast and on site operations. It can be safely used on a wide variety of surfaces including structural members, buildings. foundations, septic tanks, etc. Use to protect metal forms and treat and protect new metal. Solvent blend that lubricates. water-proofs. and prevents rust, May be sprayed on or wiped on metal, rubber, plastic and painted surfaces. Gives a long lasting invisible barrier that protects any smooth surface during mortaring and plastering operations. This may be dipped, brushed, or sprayed on surfaces. Designed to coat truck bodies and beds for easy removal of hard concrete and mortar products. Premium rust preventer & Water displacer .A concentrated versatile formulation that prevents rust and corrosion on small equipment tools, cranes, etc. May be dipped, brushed, or sprayed. Treat equipment at end of season to create a weather proof coating that protects equipment from elements when they are not in use. Remove coating with mineral spirits or alkaline cleaner. Powerful lubricant that frees rusted, frozen and corroded parts. May be dipped or sprayed on affected areas. Containing I unit of resin, 1 unit of hardener and aggregate for the strongest possible patch on concrete. This 100% epoxy concrete patch & repair kit is used on sidewalks, driveways. basement floors. bricks and stones, steps and walls, etc. Designed for use on floor areas which are subjected to abrasive traffic, impact and corrosive spillage. over a dampened surface at an average thickness of 1/8”. This one chemical station is used with our all purpose cleaners. 4 dilution settings allow this one product to be use at levels for cleaning glass (high dilution) or for heavy degreasing (low dilution) and 2 setting in between. Also has a slow fill and high flow so you can fill spray bottles or buckets. Comes with propriatory cap that fits quickly on the dilution station insert that is in each container used on this station. Up to 4 products allow true versatility. Choose four separate products for the most effective all around system. For example: Floor Neutral Cleaner – Disinfectant – Bathroom Cleaner – Odor Counteractant. Also has a high and low fill for every type of filling need.